The mind of a toddler is like a vast empty canvas. The tiny one tries his/her best into interpreting the new world surrounding. We understand that everything is new to your child. Our toddler day care center adheres to the highest standards of encouraging the natural curiosity in children. The special VPK program fosters active learning opportunities in the most scientific manner. Our careful instructors and matrons look over the individual progress of each child in the most careful way. No other aspect in our child education center is more important than ensuring the safety of ambience. We place key importance into providing the necessary playschool resources to the tiny tots. Our toddler day care in Winter Springs FL is immensely popular in the community. We also accept admissions from nearby areas such as Winter Springs,FL ,Oviedo and Casselberry FL. The trained instructors at our child day care facility inspire children to play and explore their inherent creative potential. 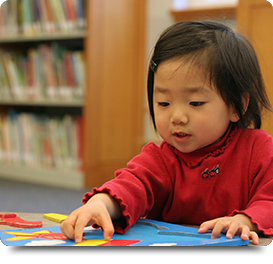 Each child has access to diverse resources. In fact, we actually divide our facility into different sections, dealing with different aspects of preschool education through playing. We provide all resources such as art projects, books, and pictures in constructing the magical world of little ones.